In April 2001 we began John Caldigate (first published 1877). This was the last of our three "unknown" but to us great novels by Trollope. It followed hard upon Ayala's Angel which had followed Is He Popenjoy?. As I had been doing for about three years, each week I wrote an essay or essays in the form of postings to Trollope-l on the chapters we had read for that week. As I had been doing increasingly for Ayala's Angel and Is He Popenjoy?, my weekly postings were written from a psycholanalytical and feminist and political point of view; I also explored the autobiographical roots of this fiction, specially Trollope's exploration of male sexuality in his fiction. I accompanied these with descriptions and commentary on the illustrations by Francis Mosley for the Folio Society edition of John Caldigate Once again the conversation of the group as a whole more generally slowly emerges and moves back and forth from other more traditional points of view: character, scenes, personal impulses when we read; of the three reads of Trollope's "unknown" books, John Caldigate elicited the least number of postings. Enthusiasm was wearing off -- though most people declared that Caldigate was a great novel, bolder than Ayala's Angel and more dramatic and emotionally effective than Is He Popenjoy?. John Caldigate was written between 3 February and 21 July 1877, just after Trollope wrote the last of the Palliser or Parliamentary novels, The Duke's Children. It did help his reputation. After producing several novels which were strongly criticized or didn't sell very well, John Caldigate was liked and sold, and reviewed favorably. Trollope hadn't placed it quickly, but when he had he got �200 from Chapman and Hall for exclusive book rights, and �0 from Blackwood's for serial rights. It was serialised in Blackwood's Magazine from April 1878 to June 1879; there are altogether 64 chapters and they appeared in instalments of 4 or 5 chapters each. As in the case of Is He Popenjoy?, copies of the novel had been hard to find and few of us appeared to have a text which followed the original instalment edition, or even an edition which followed the first volumed edition, we decided we would simply we read six chapters each week as the closest we could approach to the original rhythms Trollope intended. April 8: Chapters 1- 6: The Gold-Fields of Australia; Folking; The opening of John Caldigate (the fifth time through); Landscapes, Houses & Ships; Strong Characters, Mrs Smith and Fathers and Sons; Mrs Smith & Emily Viner ("Journey to Panama"); Father and Son; The Goldfinder; The Satire on Novels and Thomson's Seasons (Molly Shand and Madame Roland; Daniel Caldigate; The Use of Suspense. 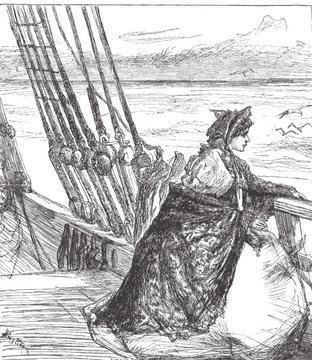 April 22: Chapters 13-18: Mrs Bolton; Characters Up Close; John Caldigate, Basil and a real life occurrence recorded; How did John Caldigate and Mrs John Caldigate (aka Mrs Smith, Mademoiselle Cettini) break up? : We are not told. 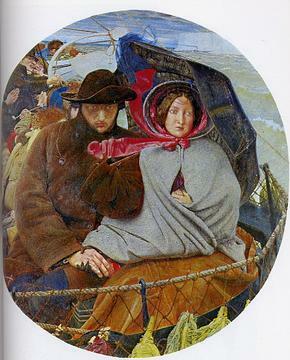 June 3: Chapters 49-54: Resonances of the Bigamy Charge; Falling off in Intensity into Envelopes (A Deus Ex Machina); Framing Women in "Sensation" Novels & Imprisonment for Women in Trollope's Novels; Imprisonment for Women in Victorian Literature - a P.S.